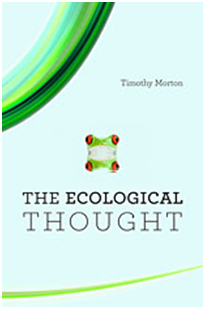 Review: Timothy Morton The Ecological Thought Cambridge, Massachusetts: Harvard University Press, 2012 159 pp. Two recent titles from Stanford UP’s excellent series Cultural Memory in the Present focus on seventeenth century English poetry in an effort to address contemporary debates over theology and secularism. 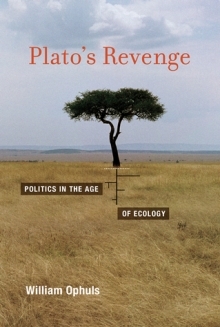 Plato’s Revenge: Politics in the Age of Ecology, William Ophuls, Cambridge, Massachusetts: MIT Press, 2012, 256 pp. At the heart of every recent political discussion is an increasingly insurmountable problem; the challenge of ecological scarcity. At the heart of the ever-deepening ecological crisis is the uncomfortable reality that the way we live today, the consumptive choices we make and the way we organize ourselves socially and politically, may be denying our grandchildren a future. The fact that consumer/industrial society has so eagerly jumped on the “green” bandwagon makes our situation that much more ridiculous, as though slapping on a few eco-friendly labels could radically alter the destructive consumptive patterns to which we have become accustomed. Medea Benjamin Drone Warfare: Killing by Remote Control New York: OR Books, 2012.